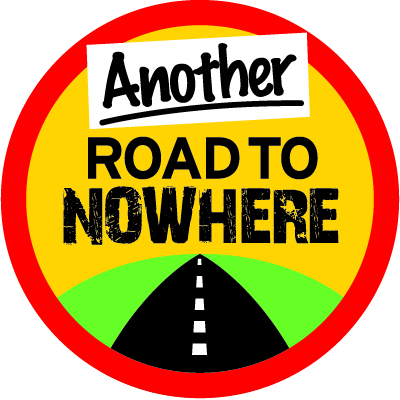 Our road campaigners Bridget Fox and Chris Todd are here to help with advice on campaigning, funding, finding other campaigners in your area and any other advice you need on mobilising against road-building in your area. 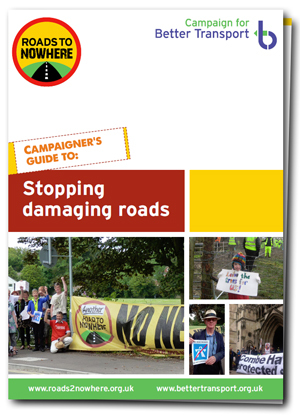 Campaigner's guide to stopping damaging roads - our comprehensive campaign guide. Printed copies on request. Our maps website includes maps entitled Recent history of traffic on major roads, Roads and the environment and LEP Watch transport schemes. 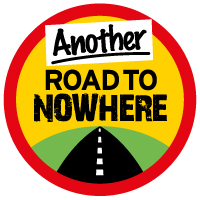 Sign up for our regular email newsletter for road campaigners. Our map of UK Air Quality Management Areas helps campaigners identify where road proposals will add to pollution in areas already suffering from a lack of clean air. Explore the map below, or click on the link above for a larger version where you can also download the map data for re-use. We have a range of lightweight mesh banners suitable for protests, camps, backdrops for meetings, banner drops and many other uses. Invite our campaigners to join you at your events and we will bring them along, or we can get them sent over in the post even if we can't make it. We also have circular placards suitable for putting on sticks and creating an effective demonstration. 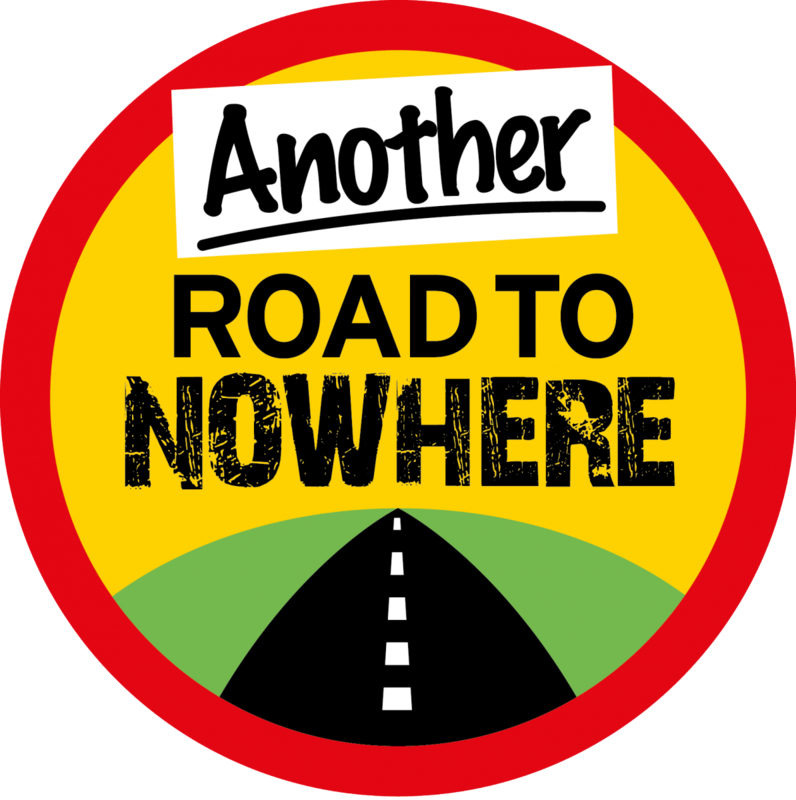 Roads to Nowhere and 'Save our Buses' versions available. No cost, just email and we'll send some to you (sticks not included). Read how Alex and her group helped to save precious countryside in Oxfordshire, find out how Emma is protecting a nature reserve in Derbyshire, and learn from Derrick's experience of campaigning against the Bexhill-Hastings Link Road. Find out how Judith and her neighbours won their spirited fight against plans to build a seven-lane super-highway through their North Wales village. 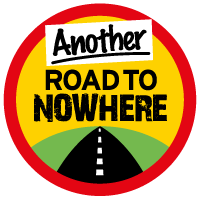 As well as our main ‘Roads to Nowhere’ logo, we’ve also created a version that says ‘Another Road to Nowhere’, which is under a creative commons licence (cc-nc for non-commercial use) for local groups and campaigns. Show you're part of a growing movement and put it on your website, postcards, placards and anything else you like. Editable artwork is also available if you want to adapt it and change the words to create a logo for your campaign.